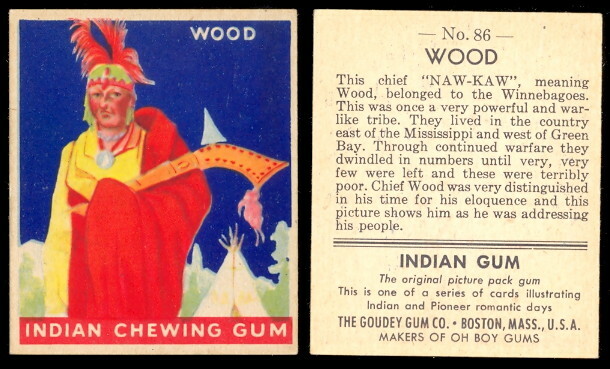 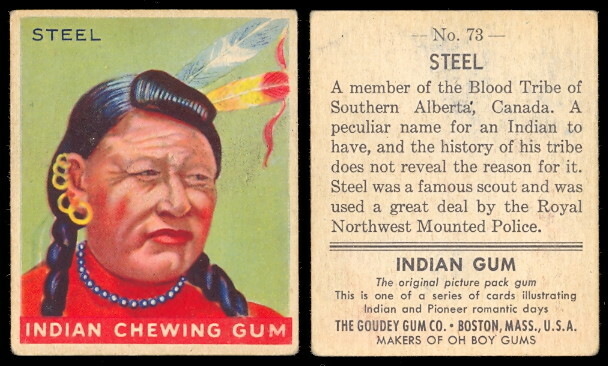 The 1947 Goudey Indian Gum represents the final Goudey issue ever. 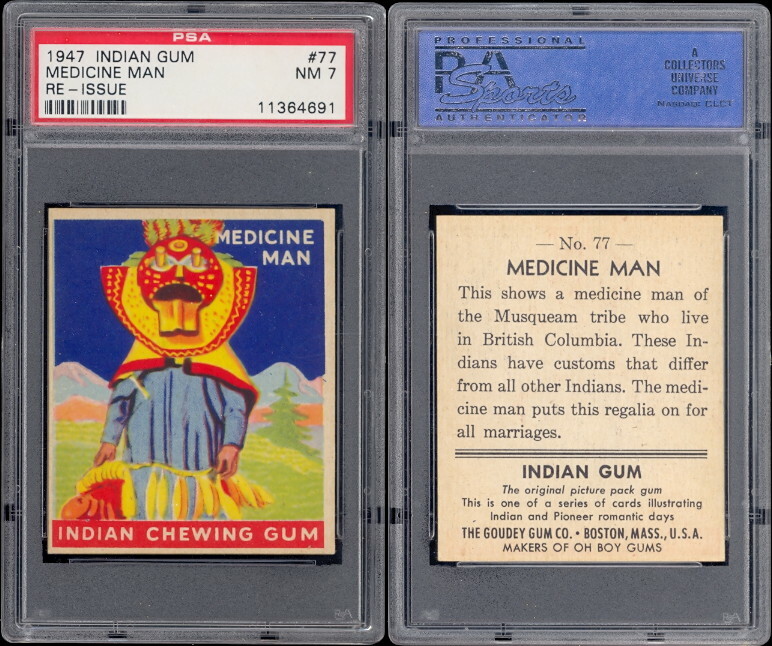 Goudey re-entered the collecting field in 1947 and re-issued some of the very popular 1933 Indian Gum cards. 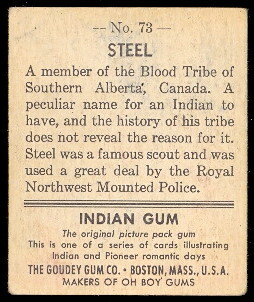 The 1947 set contains 96 cards that feature Indian portraits and scenes from the original 1933 set. 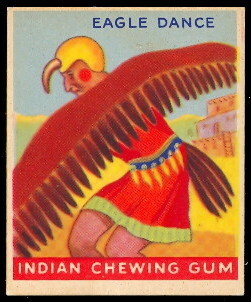 The backs are black print while the 1933 cards have green print backs. 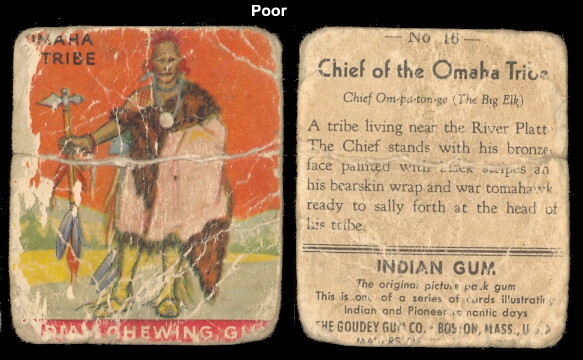 The fronts feature color drawings of famous Indian chiefs and tribes and the backs give descriptions. 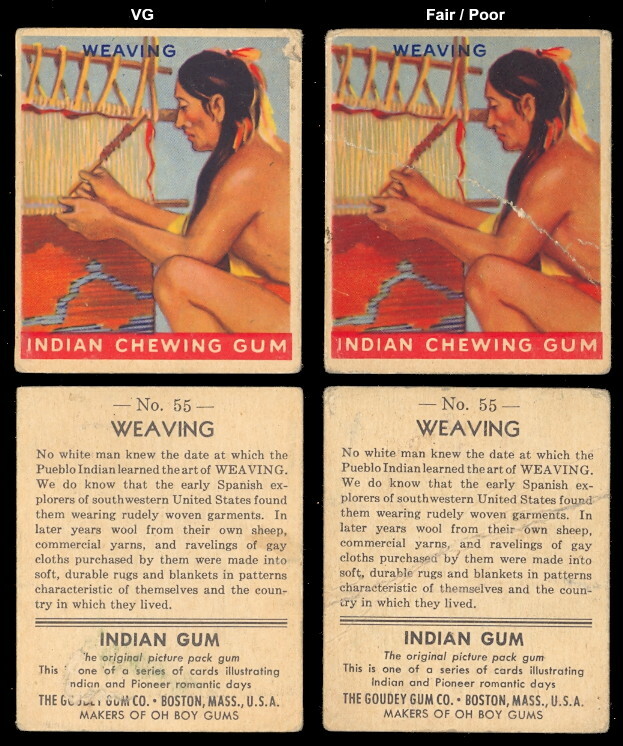 The cards measure 2-3/8" x 2-7/8" in size. 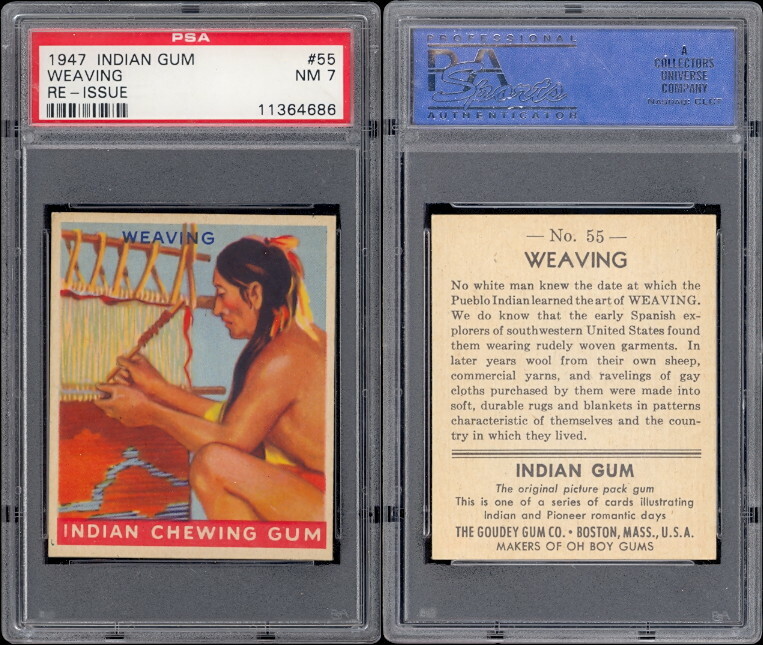 An historically significant and very desirable final Goudey set.